Leanna Taylor is the Executive Director of The Arizona Pet Project, whose work reduces intake and euthanasia in Valley shelters by keeping families with pets together. She took on the role in 2013, after a long and storied career in sports management, with the goal of creating both vision and strategy, while increasing revenues and streamlining operations. In her spare time, Leanna loves to adventure with her family, including her son Kieren, their two birds (Delta & Hercules), two dogs (Pippen & Bandit), and their foster dog of the month. 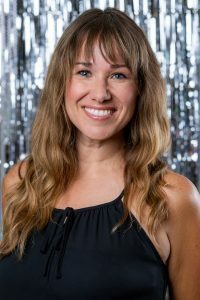 The holistic work of the Arizona’s Children Association, to protect children, empower youth and strengthen families, is in perfect harmony with the mission Leanna promotes daily in her work with The Arizona Pet Project. As a dancer in 2018’s Dancing for Arizona’s Children, she looks forward to expanding her focus from four-legged members of our community, to those with two legs! Support Leanna Taylor by purchasing your sponsorship, People’s Choice Votes and/or tickets below to attend our brunch event on December 1, 2018. If you aren’t able to attend, you can still support her by purchasing votes for her to win the People’s Choice Award!